February 07, 2019 - Vancouver, BC - Cypress Development Corp. (TSX-V: CYP) (OTCQB: CYDVF) (Frankfurt: C1Z1) (“Cypress” or the “Company”) is pleased to report mobilization is underway for drilling on the Company’s Clayton Valley Lithium Project. The present drill program is an important data gathering component of the ongoing prefeasibility study (PFS) and will concentrate on an area between previous drill holes GCH-06, DCH-04 and DCH-05. (See drill hole location map). The primary objectives are to upgrade and convert resources to reserves in developing the PFS mine plan and to obtain material for further metallurgical testing. Secondary objectives are to obtain geotechnical data and additional information on lithology, mineralization, and clay speciation. Drilling is expected to intersect lithium-bearing units from near-surface to depths of more than 100 meters. Actual depths will vary with drilling conditions and lithological contacts. The primary targets in the drilling area are the Upper Olive and Main Blue Mudstone units. Lithium values where intersected in nearby holes are relatively higher, as seen in GCH-06 where the lithium values are up to 1609 parts per million (ppm). The drilling program is anticipated to generate 500 to 800 meters of core. Drilling is expected to be completed in March depending on weather conditions. Daniel Kalmbach, CPG, is the qualified person as defined by National Instrument 43-101 and has approved of the technical information in this release. 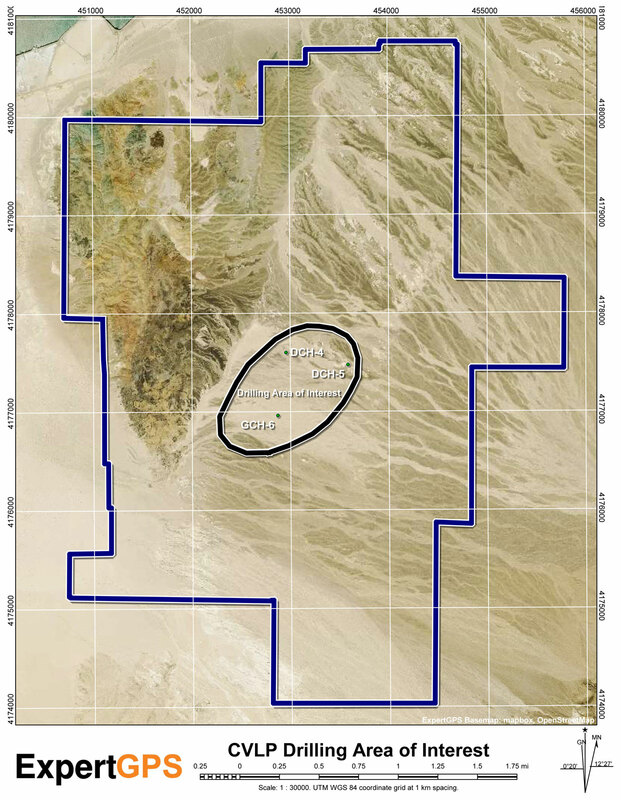 Cypress Development Corp. is a publicly traded exploration company focused on developing the Company's 100%-owned Clayton Valley Lithium Project in Nevada. Exploration and development by Cypress has discovered a world-class resource of lithium-bearing claystone adjacent to Albemarle's Silver Peak mine, North America's only lithium brine operation. Cypress Development Corp. has approx. 72.5 million shares issued and outstanding. Spamprotection Please add 13 and 2. » more news from Cypress Development Corp.